Not to be confused with Rotatable Barrel. 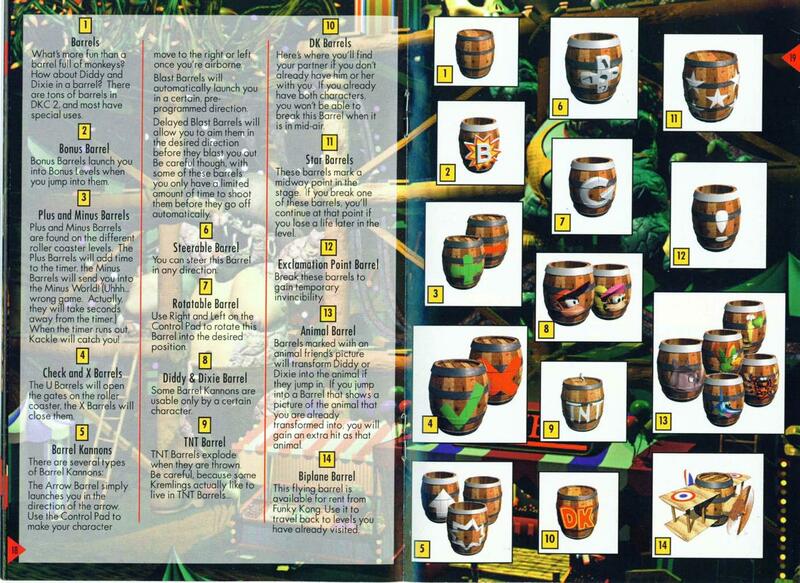 Steerable Barrels (also referred to as Steer Barrels in an issue of Nintendo Power) are a type of Barrel Cannon that only appears in Donkey Kong Country 2: Diddy's Kong Quest. They only appear in Fiery Furnace, where they have a crucial role of carrying Diddy and Dixie Kong across the enormous lava gaps. Steerable Barrels are recognizable from a control pad depicted on on them. When Diddy and Dixie enter the Steerable Barrel, they are able to move it around in any direction freely. 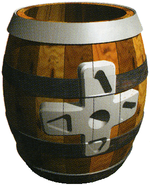 However, unlike Rotatable Barrels, the Kongs cannot rotate and aim the barrel itself because of it always facing upward. 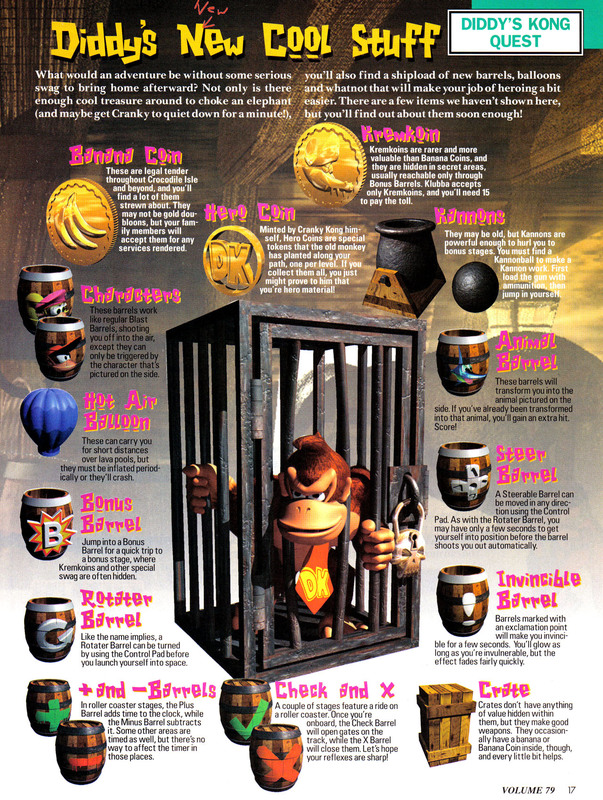 After a few seconds, the Kongs are automatically blasted out of a Steerable Barrel, which also vanishes. This means Diddy and Dixie must quickly blast into the next Steerable Barrel or the nearest land. Steerable Barrels do not appear in Donkey Kong Land 2, even in its own Fiery Furnace level. This page was last edited on December 14, 2018, at 20:39.